Call in for great coffee, café food, sweet treats, a selection of fantastic fresh produce and browse through the recycle boutique. As part of the PUBLIC Silo Trail the Pingrup silos were the sixth and final mural to be painted as part of the trail in 2018. The designs by Miami based artist Evoca1 reflect the culture of the area with a farmer with lamb, a jockey and a kelpie on a tractor. This modern building houses the local museum with a fascinating pictorial history of Pingrup, as well as a newly completed retail space selling beautiful homewares and gifts. These colourful lakes are a part of the Chinocup Lake System, which runs in a north-south direction between Lake Grace and Pingrup. Visitors may not be aware that the reason they are pink is due to a microscopic salt-loving bacteria called Halo bacteris that produces red pigment. The lakes are part of an old river system. 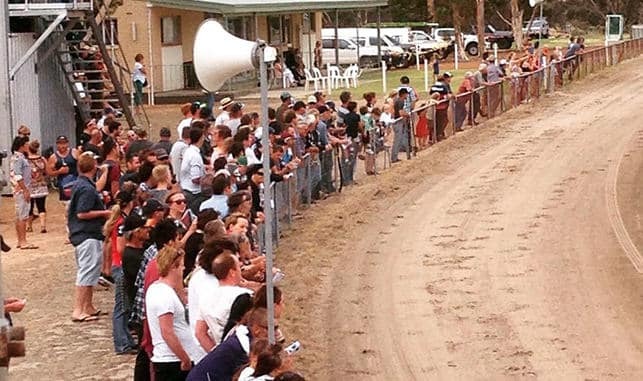 These country races are a must see! They started as the good old-fashioned Picnic Races in 1919, but by 1950 the day was called The Sports and Foot Races. As the feet were getting sore, attention was then turned to horse racing. 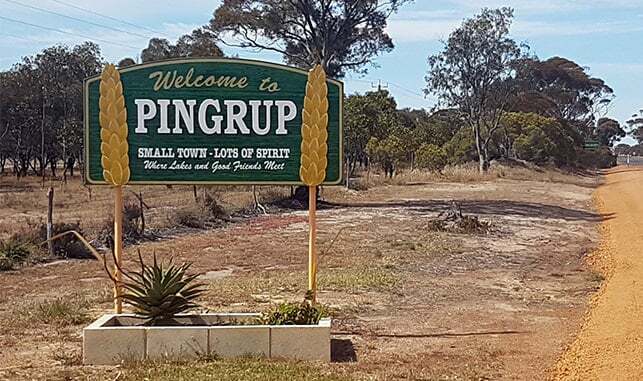 If you enjoy a flutter, or a bit of Two-Up, then March is the time to head to the famous Pingrup Races. This giant-sized replica stands out in all its glory on top of what locals call the ‘Shearer’s Shed,’ encouraging visitors to investigate what it represents. 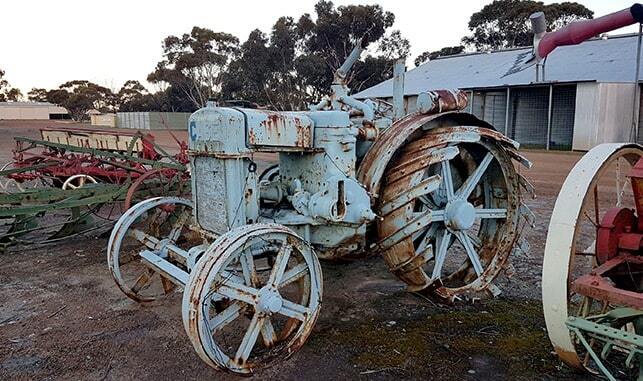 At the height of the 1990s shearers from around the State and the nation would come to Pingrup to pit their shearing skills against each other in regular competitions. Early Aboriginals are believed to have used this area for watering and resting on their wanderings. The Hollands Rock Tank was built in 1928 using Hollands Rock as a catchment which was to provide water for settlers at Lake Bryde. The Gnamma holes stored water and others were used as fire holes. The area was first explored by John Septimus Roe in September 1848 and John Holland used the water on his trek to the goldfields. The holes are located 35km north-east of town.